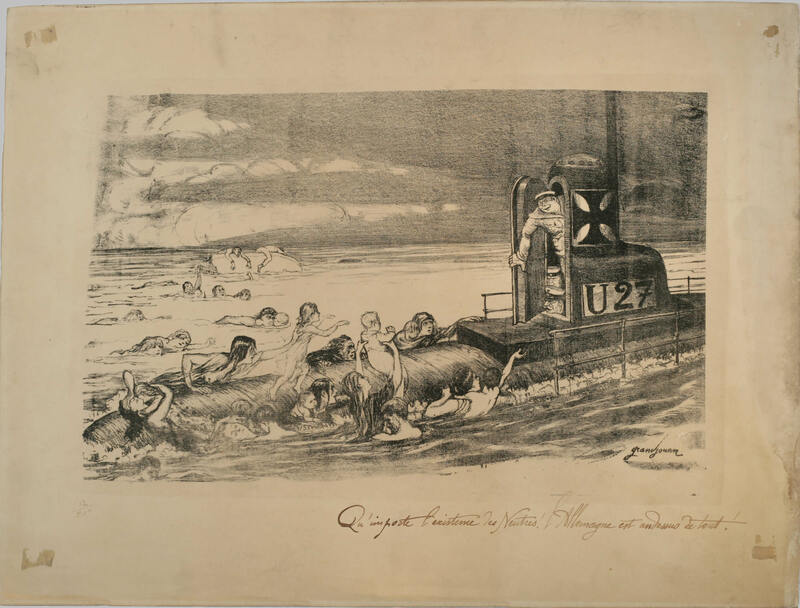 In this print by Jules Grandjouan, the German U-Boat U-27 will soon submerge, leaving these innocent civilians to perish in the water. The print refers to the indiscriminate violence of Germany's unrestricted U-Boat campaign against all ships, Allied or neutral. Allied propagandists used this view of German tactics to rally their citizens in support of the war.